I’m writing this on Saturday, February 23rd, the night before the 85th Annual Academy Awards. I’ve been really engaged in the predictions and tea leaf reading this year. I’ve watched the Golden Globe, SAG and the BAFTA Awards trying to see if any patterns were forming. Primarily because I saw more of the films nominated for the big awards. I even saw most of the nine films nominated for Best Picture. So I feel as if I have more invested in who gets what. But this year was somewhat special. The overall quality of the films were higher than in recent years. If you’re an adult who enjoys going to the movies with your brain engaged, you had a fairly good number of experiences this year. Yeah, for the most part, the best movies of 2012 were handled by today’s top-notched directors working at their best. But none of that quality has ever mattered when it comes to choosing the film that wins. If, in the same year a popular film is directed by an actor, that movie has a greater chance of becoming the Best Picture than one directed a full-time director who’s work shows you what the craft of directing is all about. So this year the odds-on favorite is ARGO. If ARGO – directed by actor-director Ben Affleck – does win for Best Picture it will be evidence of two things: that strength in numbers count when voting on awards and that completely forgettable films, more often than not, beat out better ones. 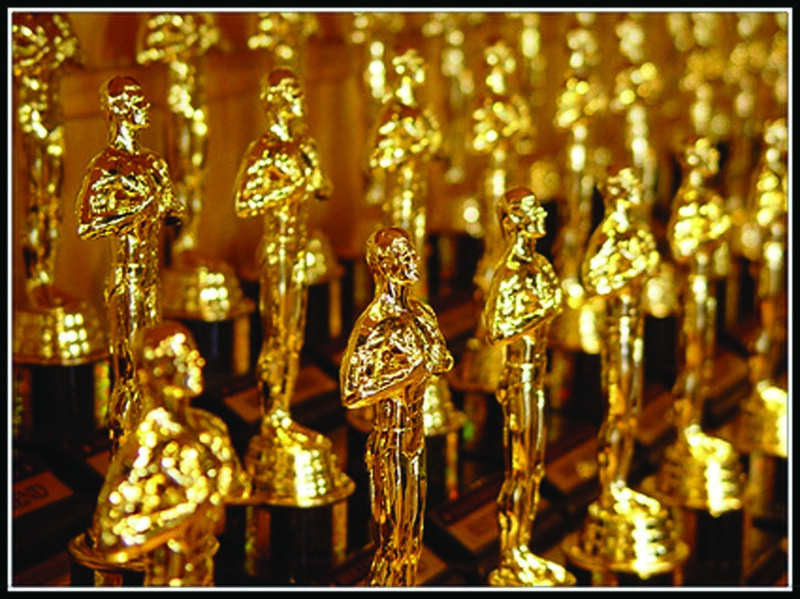 Although, members of the respective guilds vote on the nominations in each category – actors nominate actors, directors, the director nominees, and so forth – the entire 6000+ membership of the Academy of Motion Picture Arts and Sciences are eligible to vote in all of the categories. Since the vast majority of the membership is comprised of actors of all types, an actor-directed film is more likely to win Best Picture. Also, this guild vs. full membership voting structure explains why Ben Affleck was not nominated for Best Director. Personally, I don’t see anything he did in ARGO that was a demanding or matches the sheer magic of visual storytelling that Ang Lee captured on screen in LIFE OF PI. Lee took a book everyone said could not be filmed and created a powerful, mesmerizing and poignant film out of it. A film that surpasses the storytelling in the novel. Nor does ARGO display a unique approach to the script that we see in the best parts of LINCOLN. Even those who like ARGO don’t speak to what it is specifically that Affleck can be credited for taking his movie’s subject matter and making it sing. But to be fair, Affleck didn’t put his movie on the list of Best Picture nominees. That was the producer’s guild and thanks to the expanded field of up to 10 films that can be chosen, it got in just under the wire. I’m sure it was a toss up between ARGO and SKYFALL or something else equally popular. Possibly three of the biggest errors in Best Picture judgement occurred in 1981, 1996 and 2006. In 1981 at the 53rd Academy Awards, ORDINARY PEOPLE beat out RAGING BULL, in 1996, BRAVEHEART trounced APOLLO 13 and all of it’s competition, and in 2006, the absolutely forgettable CRASH won over BROKEBACK MOUNTAIN. No one is talking about either of those three films today. Mel Gibson has become box office poison. Moreover, Robert Redford, the “Ben Affleck” of his generation, isn’t even remembered as a director. ORDINARY PEOPLE is mostly forgotten today and was never considered a particularly imaginative approach to filmmaking. But RAGING BULL is considered one of the best films ever made, the best of the 1980s by many film scholars. It stands as a perfect example of why Robert DeNiro is considered such a remarkable actor and why Martin Scorsese is one the best directors ever. But no Best Picture Award. So if ARGO does win the Best Picture award I predict it will be forgotten in 12 to 18 months. Because what is behind its momentum has nothing to do with how good the film is and everything to do with how many of those actors that voted for it secretly imagine themselves picking up one of those statues some day. Yup. Directors get no respect at all.